With all the different Napa wine tasting rooms, wineries, and vineyards, planning your first trip there can be overwhelming, especially when you have limited time. I talked about some general tips on a previous post, but I thought it would be helpful to provide a full day Napa itinerary. Schramsberg would be at the top of my list because it offers an interesting tour. While there is no right way to fit Schramsberg into your Napa Valley experience, I think this itinerary would be a great way to spend the day. After eating a hearty breakfast (more than my normal Diet Coke), I suggest starting your day in Napa with a wine tasting at Chateau Montelena. 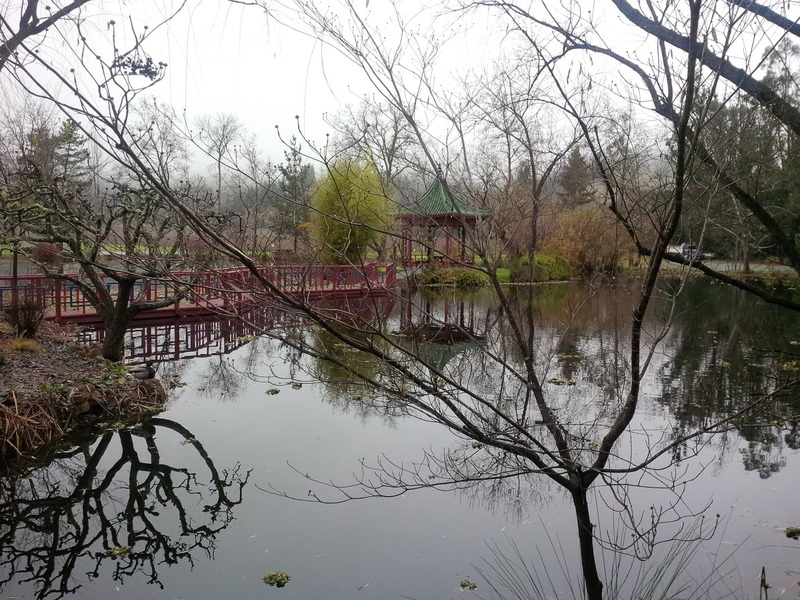 This winery is in a gorgeous setting and their wines have historical significance. At the Paris Wine Tasting Competition in 1976, which is now referred to as “The Judgment of Paris,” a 1973 Chateau Montelena Chardonnay was chosen as the winning white wine by a panel of nine French judges. The wine was pitted against four white Burgundies and five other California Chardonnays. The basic tasting doesn’t require a reservation and is held on the top floor of the Chateau. The fee is $25 a person but will be waived with a purchase of $100 or more. Since we were some of the first guests to arrive right after the tasting room opened, we chatted with the gentleman pouring the wine so he would pour wines that aligned with our preferences. After the tasting, we walked through the building and then toured the grounds. The area was beautiful and very relaxing! In addition to basic tastings, they also offer two different tours, a sensory tasting experience and a tasting entitled “Beyond Paris and Hollywood: Untold Stories and Chateau Montelena Chardonnay.” I think that could be a great way to pick up some nifty bits of wine trivia and I would love to go on it on a future trip! 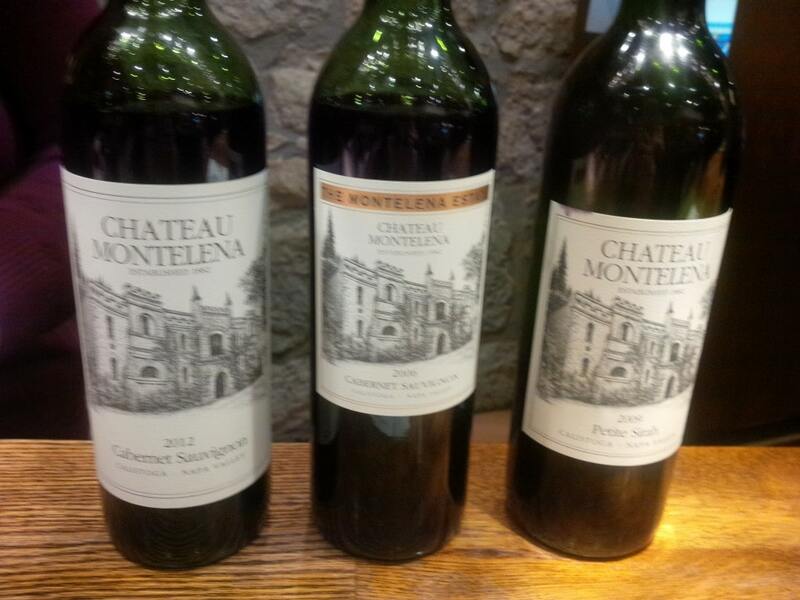 After spending some time at Chateau Montelena, I would suggest heading to a downtown Calistoga tasting room. I have been to W. H. Smith and enjoyed tasting their wines. The tasting room has a nice setup and we were able to sit on barstools as we enjoyed their wines. Also, while in town, I would get a bite to eat – there are plenty of restaurants, or if you are short on time (or want to focus on drinking) Cal Mart offers boxed lunches. While we were tasting wines at W. H. Smith, a couple even brought in a pizza to enjoy with their wine – if you are interested in doing this, I would check with the salesperson at the tasting room before ordering to ensure that they are okay with it. 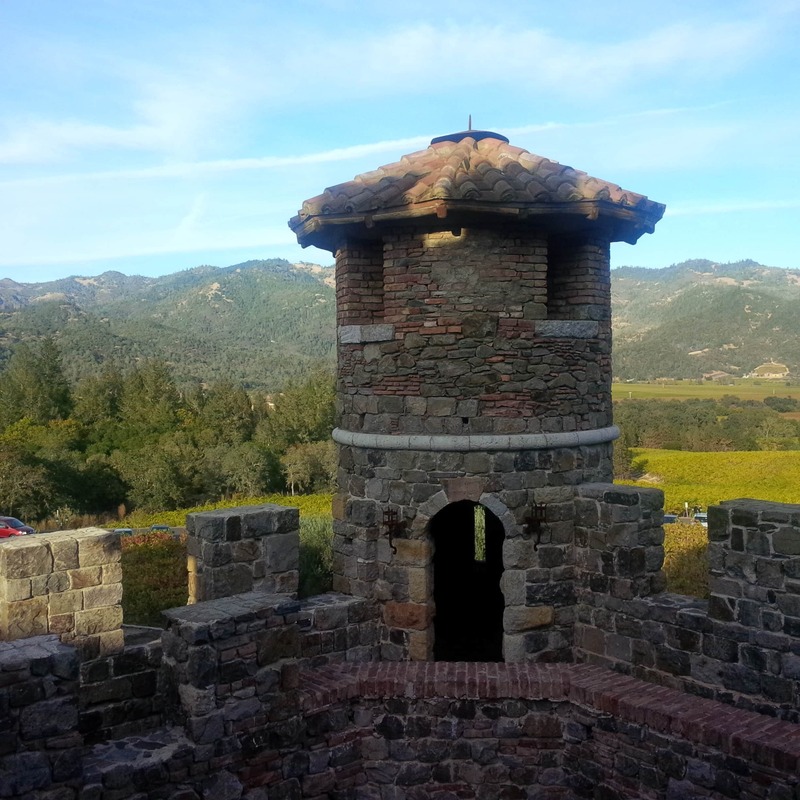 Next, on your Napa Valley day trip itinerary, head to the Schramsberg Winery. The road to get up to the tasting room is rather narrow and steep. It is important to have a designated driver who can get you there safely. As mentioned previously, Schramsberg has a great wine tasting experience (especially for those who like bubbles and they also have some magnificent reds). Their caves make them one of the “coolest” wineries in Napa. Schramsberg has an impressive history including being the first American wine served at a White House or State event and it has been served at official State functions of every US Presidential administration since Richard Nixon. When visiting Schramsberg Napa, I have enjoyed looking at the memorabilia framed on the walls detailing the wines served for various state dinners. The Schramsberg grounds are lovely. The Schramsberg winery tours are limited to 12 people and are by appointment only, so it is important to make your reservations early (click here to reserve your tour) in the Napa trip planning process. If you are using this schedule, the 1:30 Schramsberg tour would be a perfect fit. The tasting is slightly pricey at $70, but I greatly enjoyed learning about Schramsberg and the sparkling wine making process, getting to see the caves, and getting to taste the wine. Also, please note that Schramsberg does not offer tastings without a tour (unless you are a Schramsberg club member). There are six tours offered between 9:30 am and 2:30 pm. The Schramberg Cave tour starts promptly so I would recommend aiming to get there a few minutes early. 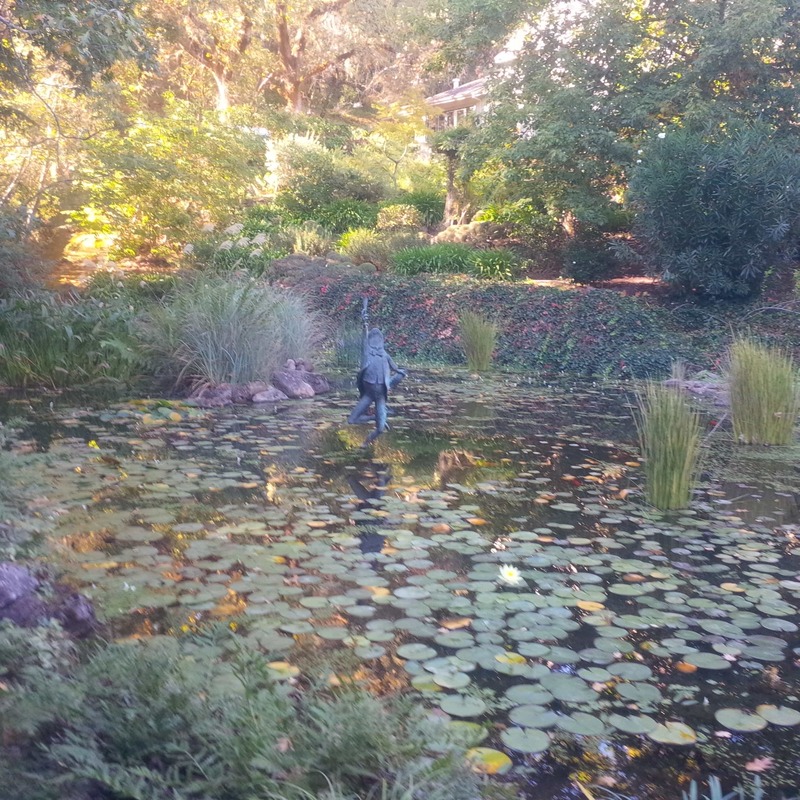 The grounds are pretty and it is located off the main road, so it is a very tranquil setting. At the end of the tour, the tasting included five wines – four sparkling and one cabernet sauvignon. This candlelight tasting was also held in the caves which are rather chilly. I would recommend wearing a light jacket. The tour and tasting lasts about 75 minutes. For the last stop of your wine tasting day in Napa, I would head to Castello di Amorosa, an authentically-styled, 13th century, Tuscan castle and winery. We did not go on a tour but instead explored on our own. It was neat to be able to walk into the various rooms, and the vistas offer breathtaking views. 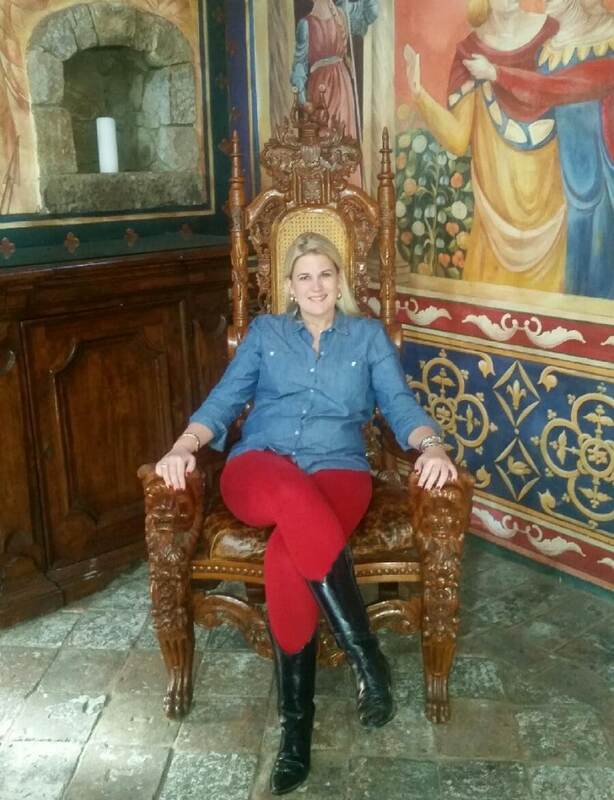 Exploring the castle can be a great break if you start feeling wined-out! After exploring a bit, we went to the tasting room. All adult tickets to enter the castle include a tasting, and tickets for children include grape juice. The tasting room also has a great selection of wine-related gifts. I found a great cheese knife and my friend, Leigh-Anne, found some delicious olive oil. By following this itinerary, you will have a fun-filled, relaxing day in Napa. You will be able to taste many wines, see fabulous architecture and even learn about the winemaking process. Cheers! Make your reservation for the Schramsberg tour as far in advance as possible. Read through our wine tasting tips post for dinner recommendations and other suggestions to help you make the most out of a day in Napa. If you have more time, be sure to read out list of things to do in Napa Valley besides wine tasting. This is a very well thought out itinerary. I especially appreciate your tip to carry a light jacket. Linda – Thanks so much, I hope you get the chance to try it out sometime.